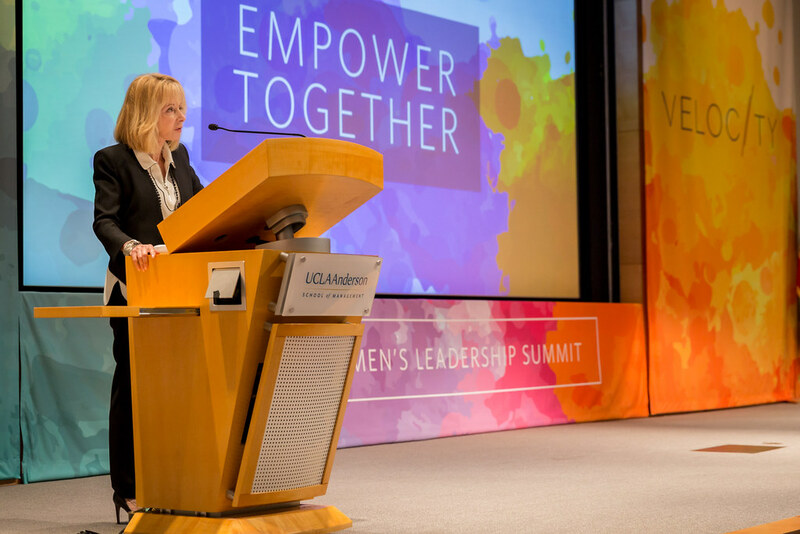 The 2017 UCLA Anderson Women’s Leadership Summit welcomed 400+ attendees to campus on Friday, February 3, 2017. This day-long discussion brought together dynamic business leaders, alumni, faculty and students. In the spirit of the 2017 theme, “Empower Together”, women and men were encouraged to be part of this energizing, thought-provoking and inspiring event that delved into unconscious bias, inclusion and other key topics. Dean Judy Olian and our Women's Business Connection club president, Christine Duffy ('17), welcomed everyone in the morning. We were thrilled to have Amy Powell ('05), Anderson alumna and President of Paramount Television and Digital Entertainment as our morning keynote speaker. She shared her secrets to success and the high value her family has always placed on continued education and personal growth. Back by popular demand from the 2016 Velocity Conference, Cynthia "Cynt" Marshall, SVP of Human Resources and Chief Diversity Officer at AT&T, graced our stage for the afternoon keynote session. From being the first African American cheerleader at Cal to a young engineer at AT&T to her role today, Cynt continues to inspire us with her message of hope and resilience in the face of adversity. Check out more photos from the event below (or click here), and we hope you plan to join us next year!